It’s time to wash your hands and help prevent the spread of flu, but when you put your hands under the automatic sink, nothing happens. You give your hands a shake, praying the sink actually turns on. You get frustrated, take a step back, and change your angle of attack. The sink finally turns on, but how exactly does this sink work and what is a way to make this whole process easier? I had this exact series of events happen and decided I needed to investigate and make a video about it (you can check that out here). If you can’t watch that video I’ll hit the high points here. First thing: what is the sink “looking” for? My first thought was maybe the sink is looking for visible light, but I turned out all the lights, and the sink still turned on! That means it has to be looking for something else: maybe another type of light. 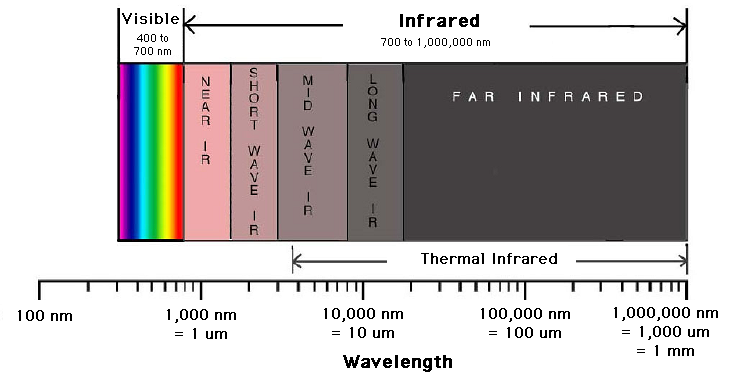 Maybe it was looking for infrared (IR) light, which is light that is lower energy than the light we can see This IR light could be in the form of thermal IR (heat) coming off people’s hands. That would mean something at room temperature that doesn’t give off heat, like a notepad, shouldn’t trigger it, but when I put a notepad in front of the sink it turned on! Okay, well maybe it was looking for a different type of IR light. I knew of a trick; digital cameras can “see” near-IR light as a white-purple color. You can test this out by pointing a remote at a camera and pressing buttons. I took my smartphone out and pointed it at the sink to look for near-IR light and to my surprise from several feet away the sink turned on! This was very strange; I’ve never seen a sink turn on from this far away. I did some digging about my phone and found out that my phone camera uses a near-IR laser for focus. When I looked at my phone camera with another camera, lo and behold, there was the tell-tale white-purple color. This means that when my phone camera (with the camera app open) is pointed at the sink, the sink sees the IR laser as a signal to turn on. Well if this is what the sink is looking for, where does the near-IR light come from? Maybe the sink has its own near-IR light and then is looking for the reflection. To test this I used my hand at just the right angle. As I adjusted my hand to reflect more or less light, I could turn the sink on or off at will! That means that there was some threshold of light the sink needed to turn on. At this point we know the sink is looking for the near-IR light that bounces off whatever is in front of it, but that doesn’t help with actually using these sinks. If the sink needs a certain amount of IR light to bounce back, then your hands should be put right in front of the sensor to get the most IR light bounced back. When I tested putting my hands in different locations in the sink, it turned on most repeatedly when my hands were right in front of the sensor. That doesn’t explain why the sink doesn’t seem to turn on right away sometimes. Maybe the sink needs the IR light to be bounced back for a certain length of time. I tested this by moving my hand in front of the sensor for different amounts of time. Any time my hands were in front of the sensor for less than 1 second, it didn’t turn on. Once my hand was there for about 1 second the water would come on. Conclusion time: the sink that I use most often looks for near-IR light bounced back to the sensor and needs a specific amount of near-IR light to be bounced back for at least 1 second. To avoid the frustration of automatic sinks here’s my recommendation: make your hand flat, hold it still in front of the sensor for about 1 second, and keep your hands in front of the sensor as you wash your hands. Hopefully this flu season you will get a little less annoyed with that automatic sink! Peer edited by Shaye Hagler.